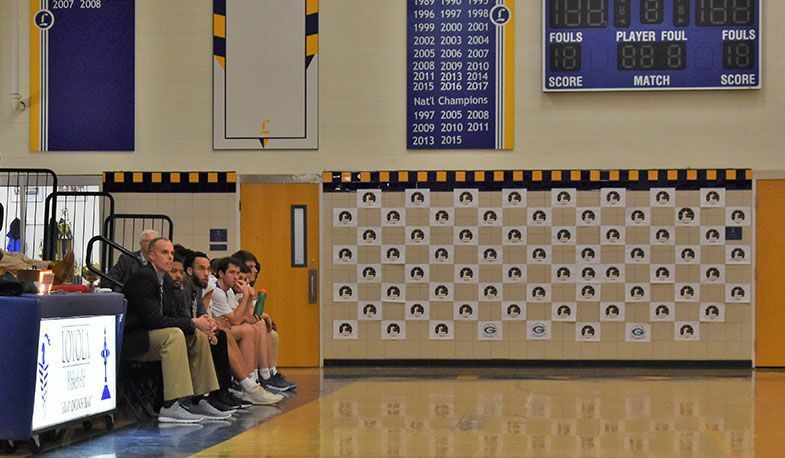 On Tuesday, February 5, the Loyola Blakefield Basketball program held its 6th Annual Coaches vs. Cancer fundraiser as they hosted Gilman School for a full lineup of games. The Dons swept the afternoon as all five of our teams (7th & 8th grade, Freshman, JV, & Varsity) won their respective bouts. Through the efforts of the basketball program coaches, players, parents, and school administrators, the basketball program was able to raise nearly $2,300 toward Medstar Franklin Square Medical Center's We Care Fund—a local cancer charity that supports local families that are dealing with a loved one battling cancer. In the six years of the fundraiser, the basketball program has raised nearly $18,000 total. 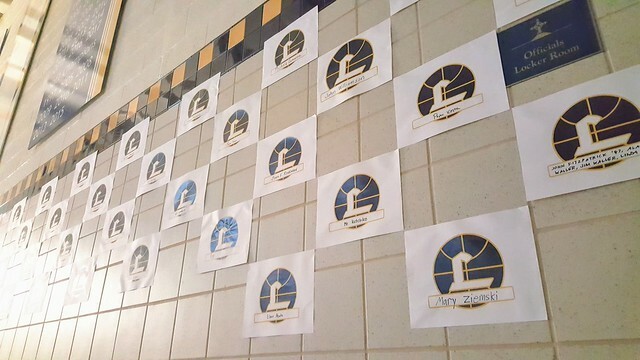 New to the fundraiser this year was the Wall of Honor, in which Loyola community members and Gilman School game attendees could recognize and honor someone who is battling cancer, a survivor of cancer, or someone that may have lost their battle with cancer. Names were written on Loyola Basketball or Gilman Basketball logos and placed on the walls around Jerry Savage Court. “This new tradition really personalizes the fundraiser for our community and those attending from the opposing teams,” said Mike Lackner, who has been the backbone of this fundraiser since its inception at Loyola. "I think it is great for us as a program to help those in our local community and to model the helping of others who are in need is important to us all,” said Coach Josh Davalli. “It was a great team effort from all involved, and we topped it all off with the program getting five wins on the night. It was a great night all around for our basketball program and for our community."